Regal’s Skin Care Remedy, with a delicious beef flavour, has been specifically formulated with three effective herbs known for treating both acute and chronic skin conditions. This anti-itch herbal remedy will help address skin allergies including flea bites, eczema, rashes and hot spots. For healthy skin and a glossy coat. No more irritation for you or your furry friend! As humans we take pride in the health of our skin and for our pets this approach should be taken no less earnestly. The state of your dog’s skin is a very clear indication of his/her overall health. There are many culprits that cause skin problems, such as itchy skin, to arise. We all know what it’s like to feel an itch or two, but our beloved pets really appear to get the worst of it. Scratching incessantly until their skin is raw and bleeding – and even then the itch isn’t gone! What is Regal’s Skin Care Remedy? One of the most versatile, widely documented medicinal herbs. So much so, its medicinal uses go as far back as ancient Egypt, Greece and Rome! Substantial research into this plant has shown it to be a potent anti-inflammatory with anti-bacterial, anti-allergenic and sedative properties. Being a sea vegetable, bladderwrack is a form of kelp. It is a rich source of minerals high in iodine, calcium, magnesium, potassium, sodium, sulphur, silicon and iron as well as being a good source of some B-complex vitamins. The concentrated iodine content has shown to be particularly beneficial in stimulating thyroid functioning for improved metabolism. Bladderwrack is considered a nourishing tonic known for relieving chronic dry skin conditions. A highly prized local plant that has quickly grown in popularity around the world as studies continue to reveal its many medicinal uses. Indigenous to the Western Cape region of South Africa, Rooibos is high in anti-oxidants and has been shown to aid in the treatment of several skin conditions including itching and inflammation. Many people use Rooibos for the relief of eczema, acne and nappy rash. 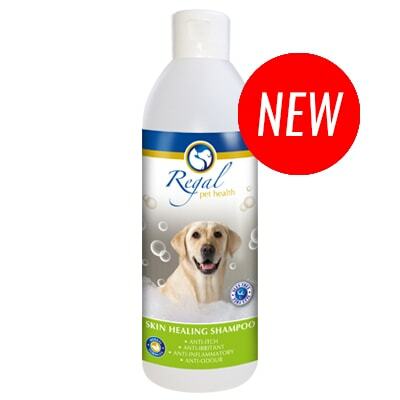 Regal’s Skin Care Remedy has been formulated with an artificial beef flavour to ensure administration is stress-free for both you and your dog! Directions: Administer liquid directly into the mouth or place it into a bowl. If your dog has a fussy palate then simply add some of your dog’s favourite food or snack to the liquid, such as pellets, milk or yoghurt. For acute conditions increase dose to THREE times a day. For best results use strictly as per dosage recommendation. Use until symptoms clear or continue as needed. NOT SUITABLE FOR CATS. Do not give to pregnant or lactating dogs. 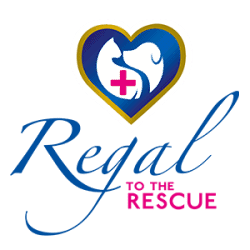 Safe for dogs 6 months and older. Do not administer if your dog has an iodine allergy or is pre-diagnosed with hypo- or hyperthyroidism. Consult with your vet before administering this remedy should your dog be on blood thinning medication or being given iron preparations. If in doubt please contact your veterinary surgeon before using this product. What are the most common symptoms of skin problems? What are the main causes of skin problems in dogs? Seasonal allergies are a common culprit for itchy skin as some dogs develop a sensitivity to allergens (just like many of us do!) such as pollen, dust, grass, mold, weeds, trees or mites to name but a few. Food allergies are another main underlying cause for itchy skin and rashes due to a compromised immune system in reaction to any number of common ingredients found in dog food e.g. wheat, soy, corn, beef or chicken. Colourants and fillers can also cause an allergic reaction in your dog. So if you suspect a food allergy, it’s important to consult with your vet to help determine what it is. Fleas are a persistent pest for dogs as their bite and droppings can easily irritate your pooch’s skin. Some dogs develop an allergy to the saliva from a flea’s bite known as fleabite dermatitis. Dogs can also develop an irritation from flea-prevention products such as flea collars. External parasites such as lice and ear mites can cause skin reactions. Ringworm is a fungal infection that is highly contagious – symptoms usually include inflammation, scaly areas on the skin and hair loss. If you suspect your pet has a ringworm infection it’s important to treat it immediately to avoid the infection spreading throughout your household! Sarcoptic mange is an infection that is caused by Sarcoptes scabei mites leading not only to inflammation but extreme itching as well – which can be commonly mistaken as an allergic reaction instead. Hormonal imbalances can lead to changes in the skin including discolouration of the skin, uneven fur thickness and distribution. Seasonal changes can lead to skin changes e.g. some dogs become prone to dry, flaky skin during the winter period. As there are so many causes of skin problems, when you notice any changes in your dog’s skin or coat it’s important to consult with your vet. Usually a vet will perform a variety of tests to determine the cause including a skin scrape, skin smears, testing for ringworm or parasites, skin biopsy, blood tests (to test your dog’s overall health) and allergy testing. Once you know the cause of your dog’s skin problem, you will find there are a number of safe and effective treatment options available including herbal remedies. Are some breeds more prone to developing skin conditions? Due to there being so many causes of skin problems in dogs (as you can see, the list is indeed long! ), all breeds can be susceptible in one way or another. Typically dogs living under stressful conditions or those who have a compromised immune system will be more vulnerable to developing some form of skin condition – as are puppies and elderly dogs. There is a lot you can do day-to-day to ensure your dog has a shiny, healthy and vibrant coat! Start off by feeding your dog a healthy, well-balanced diet that ideally contains fresh rather than artificial ingredients and is rich in essential fatty acids. Stay away from harsh shampoos and opt for natural, hypoallergenic soaps that are formulated especially for dogs. Don’t bathe your dog too often as this can strip away the coat’s natural oils leaving it dry and brittle. Avoid matting of hair by brushing your dog on a regular basis, making sure you never brush against the hair growth. Minimize the collection of dust by regularly cleaning and vacuuming your house and ensure you give your pet the calm, loving environment that he or she needs to thrive and feel waggiliciously happy. While natural remedies can help discourage fleas, it is important to have a flea-prevention programme in place. Chat with your vet for further guidance. Investigate natural options such as herbal remedies that can address skin and coat problems without the harsh side effects that often accompany corticosteroids and anti-histamines that are frequently prescribed for itchy pets. This product helps soothe itchy, red, raw and irritated skin caused by allergies or infection, as well as help heal minor wounds, scrapes and insect stings. As an external spray, it works brilliantly with the Recover and Heal and Skin Care Remedy products, giving pooch both internal and external support. It can be used on its own too and provides relief from the symptoms of a wide range of conditions, including sunburn/damage, eczema, hot spots, minor burns and scalds and pressure sores. As an all-round skin healer, this spray is a handy addition to any first-aid kit.